 Expert Bike Repair, sponsoring PHCX – Sheffield Urban CX 2018 – Entries Live! Expert Bike repair runs from a shop in Whiston, outside Rotherham. Although a small shop they are stockists for some of the big brands such as Hope, ODI, Renthal, Schwalbe, they are also stockist of Kross Bikes, a new brand from Poland. EBR are very proactive in supporting local races and also clubs. 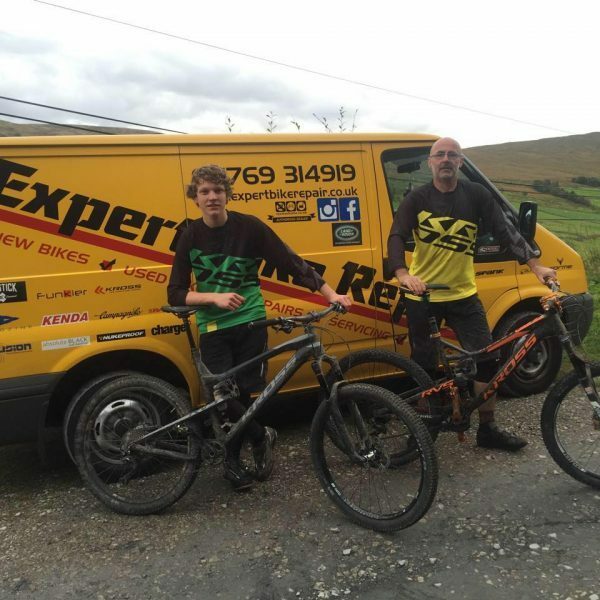 Expert Bike repair is a key sponsor Rother Valley Riders, a local, and second biggest MTB club in the UK. Mark Burton is the man behind Expert Bike Repair. His love of cycling in all its forms started over 30 years ago when he got his first bike for Christmas….. a Raleigh Burner BMX! Mark Burton (right) and Anthony Croft, the two friendly faces of EBR. 1994. 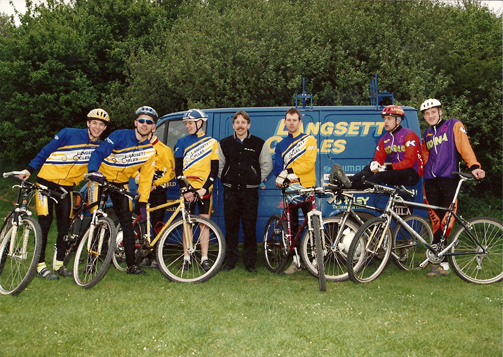 Spot the famous face who’s done rather well since this picture… Steve Peat, current downhill world champion from Sheffield! (far right) Mark wearing the cool shades!!! Mark has always been an advocate of getting people on their bikes, and whilst working at Freespirit he formed the TREAD ATB CLUB which had over 100 members at it’s peak. Many of TREAD’s members still ride or race today. So Cycling is a big part of Mark’s and has been for over 30 years, Road, Cross BMX, MTB its been a privilege to work on some amazing bikes and also the ones that tell a story, and to play a part in riders cycling stories. EBR stock some fantastic children’s bikes too so they are sure to play a part in inspiring a new generation of riders too. Mark rides on an almost daily basis, whether commuting to work or off-roading in the Peak District and beyond, and at 43 years old he’s just started downhill mountain bike racing! ‘you’re never to old to have fun’. He has recently restored his early 90’s Pace RC200 and is currently restoring 3 Raleigh Grifters to their former glory…..who’s old enough to remember those?